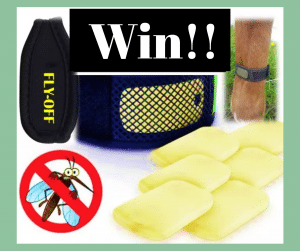 Horsey Stuff • No Social ShareWIN! A set of Fly Off tags! I have teamed up with Equine-Innovations to offer a lucky Facebook user their own set of Fly Off tags! These tags use essential oils to create an effective fly repellant enclosed in a plastic casing. These tags can be attached the the horses rug, tack or even limbs to protect them out in the field or out riding. You can also have them in the stable or even on yourself to help keep the flies off you. To enter this giveaway simply like and comment on the competition Facebook post which you can find here. The winner will be chosen at random on the 20th of June and will be announced on the Equine-Innovations website.